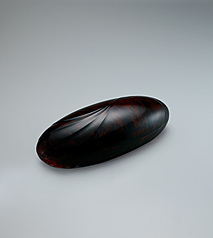 Display shelf of zelkova wood with wave design finished in wiped urushi. 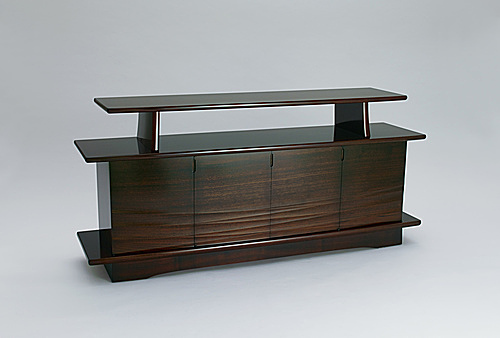 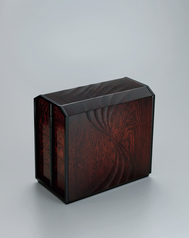 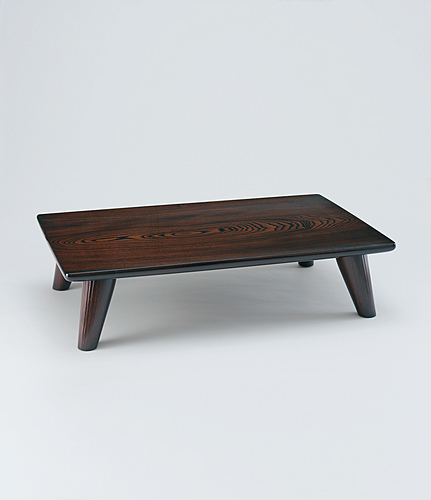 Coffer of horse chestnut wood with design of wind-wrought pattern on the sands finished in wiped urushi. 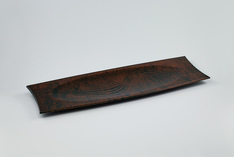 Tray of maple wood with stream design finished in wiped urushi. 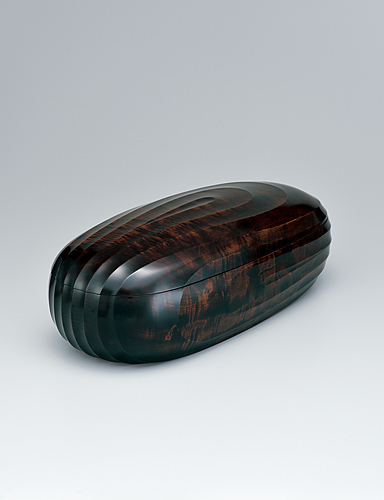 Small drawers of zelkova wood with stream design finished in wiped urushi.